The Oast House is a truly curious sight. Where you can indulge in deli boards, rotisseries and the grill. This old world pub is now a stockpile of the world’s finest ales and beverages. Settle down alongside one of the huge wooden tables and soak up the atmosphere. During the day families and office workers sample treats from the delicious menu. In the evening there is a nice mix of people and great buzz. 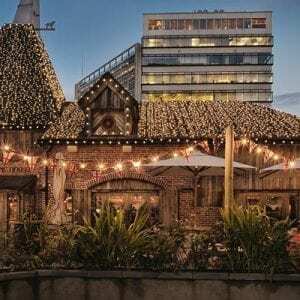 Located in Manchester city centre, hop on one of the frequent trains to Piccadilly Station, less than 1-mile walk from The Oast House. Our friendly hotel shuttle bus drivers will drop you off and pick you up from the airport station at any time of the day.